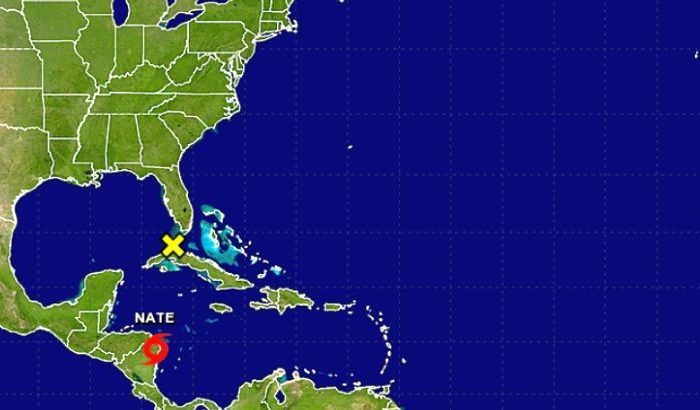 Louisiana’s government declared a state of emergency before Tropical Storm Nate, which is currently churning in the southern part of the Gulf of Mexico. 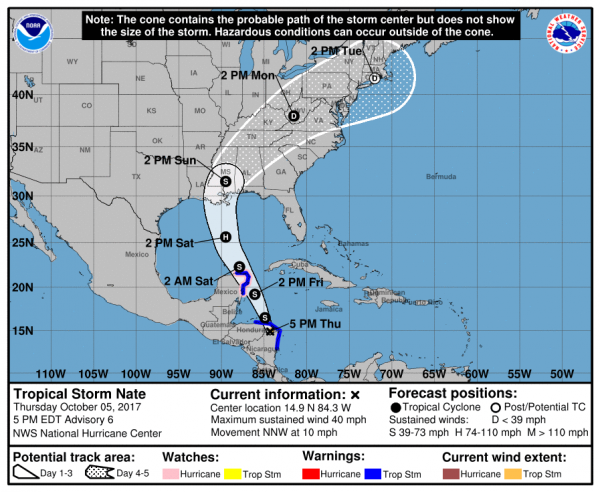 It’s unclear if Nate will turn into a hurricane, but according to the National Hurricane Center, the storm has winds of 40 mph and is moving at 10 mph north-northwest. A hurricane watch was declared for Punta Herrero to Rio Lagartos, Mexico. Louisiana Gov. John Bel Edwards declared the state of emergency as his state prepares for a direct hit from Nate, which could possibly make landfall as a hurricane. Some 1,300 National Guard troops are being mobilized ahead of the storm. Fifteen are headed to New Orleans to monitor the pumping system in the city, which was imperiled during Hurricane Katrina in 2005. Forecasts say that Nate is projecting landfall by Sunday morning. Edwards told AP that residents should be ready for storm surge, winds, and other life-threatening phenomena. The governor said that he expects a “direct hit” in Louisiana over the weekend, NOLA.com reported. He expects to ask President Donald Trump to make a federal disaster declaration before the storm.